Sciblogs | A step towards predicting earthquakes? A step towards predicting earthquakes? Nature reports today some interesting research which suggests the big Boxing Day earthquake of 2004, which caused devastation around the Indian Ocean when the resulting tsunami slammed into coastal towns, may also have weakened the San Andreas faultline 8000km away in California. 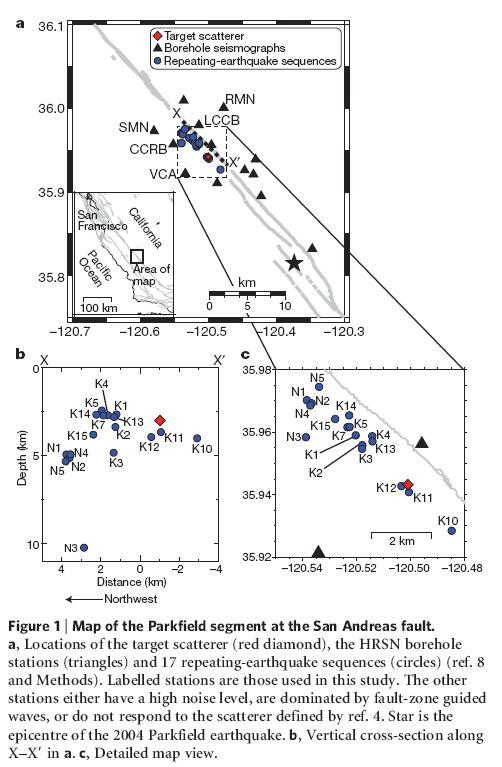 Researchers examining the data produced by highly sensitive devices buried deep beneath the ground at Parkfield, an earthquake hotspot on the San Andreas faultline, say the frequency of “repeating earthquakes” increased and the magnitude of them decreased after the 9.3 magnitude Sumatra earthquake of 2004, suggesting that the fault was weakening. In effect the fault slipped slightly as a result of the massive quake on a distant part of the Pacific Ring of Fire. Monitoring along the San Andreas faultline could well be aided by the completion of the San Andreas Fault Observatory at Depth (SAFOD), which began operating in 2007 and involved geophysicists drilling a 3km tunnel through the fault and installing earthquake detectors. 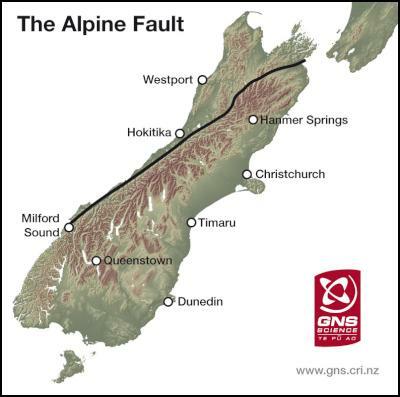 Here in New Zealand, scientists are investigating drilling into the Southern Alps faultline to try and better understand how the fault works. Here’s an interesting paper on the proposal.